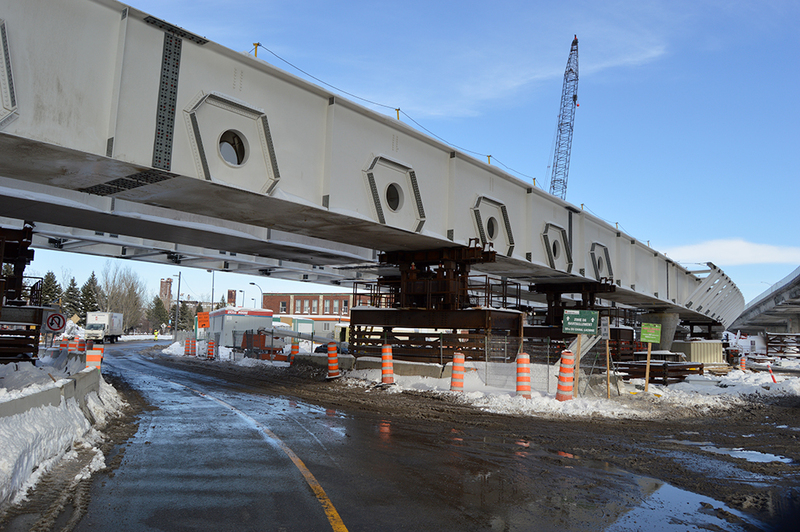 Nearly three months after putting the first girder in place, the Lachine Canal Bridge has begun to take shape. St. Lawrence Erectors, a subsidiary of Canam Group, has erected more than 22 girder sections to date for the construction of the northbound portion of the bridge. This work has been done for KPH Turcot, the consortium responsible for the design and construction of the main infrastructures of the Turcot interchange in Montreal. Over the next few weeks, the team will erect girders over the Lachine Canal using a crane with a capacity of 600 metric tons that will be positioned on the north shore of the canal. A high-capacity crane must be used given the length and weight of the girders to be installed and the extremely limited space on the south side of the canal. Canam-Bridges will provide 308 feet (94 meters) of Goodco Z-Tech LG-4 type seismic modular joints for this bridge. The northbound lanes should be open to traffic in early 2018. The bridge construction is expected to be completed in 2019. The new cable-stayed bridge is 33 feet (10 meters) lower than the existing bridge. The bridge is 1,198 feet (365 meters) long. There are four southbound lanes and five northbound lanes. Photo: KPH Turcot, un partenariat S.E.N.C. 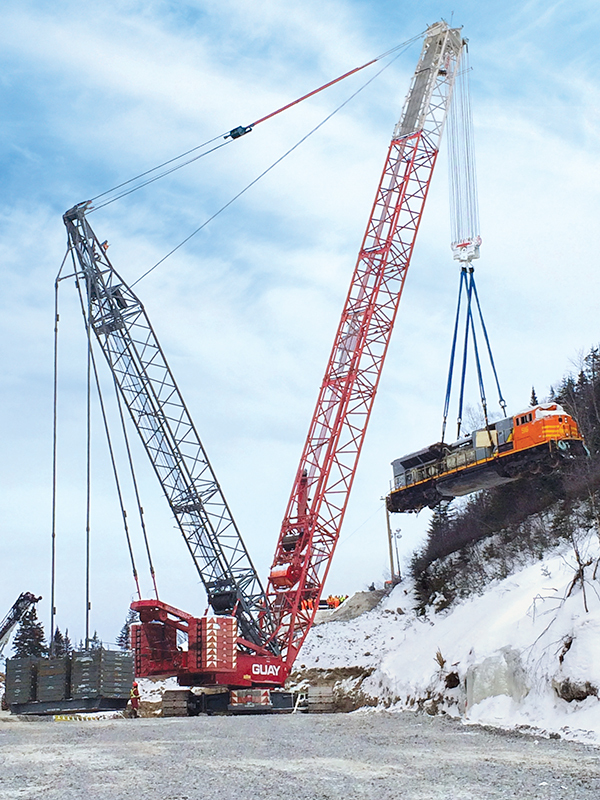 A crane with a capacity of 600 metric tons like this will be used to erect the bridge over the canal.